To pay Ezekiel Elliott or not to pay Ezekiel Elliott? That is the question that has been raging throughout Cowboys Nation for the last few months as we've debated how much each of the notable players should get paid in their respective contract extensions. Generally, it's not considered a good idea to offer running backs a second contract because of the decline that happens around age 27. It's the reason that the Dallas Cowboys opted not to extend a competitive offer to DeMarco Murray when he was a free agent after he led the NFL in rushing in 2014. Ezekiel Elliott, though playing the same position as Murray, is a different case for the Cowboys. 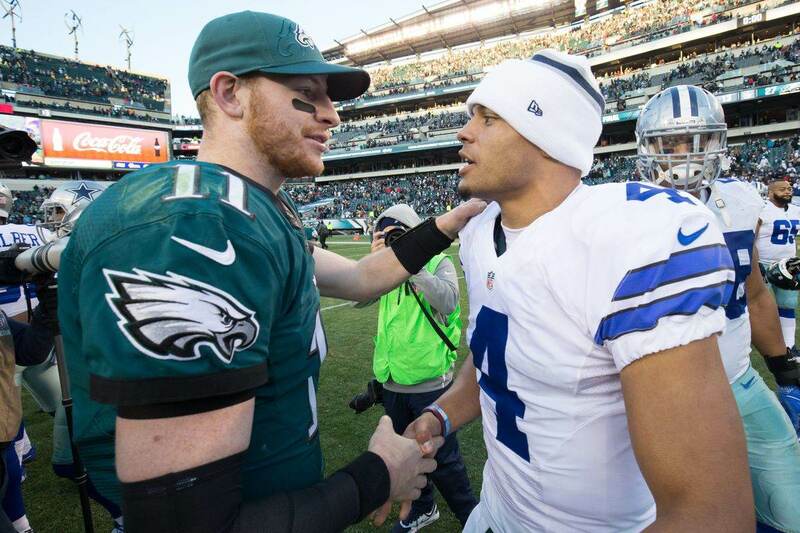 Elliott is one of the leaders on the team on and off the field. His running style helps set the tone for a team that wants to be a physical football team in the trenches and his ability to run for big gains takes a lot of pressure off of the passing attack for big plays. This is why many fans are clamoring for Elliott to see his pay-day when he gets closer to the end of his rookie contract. 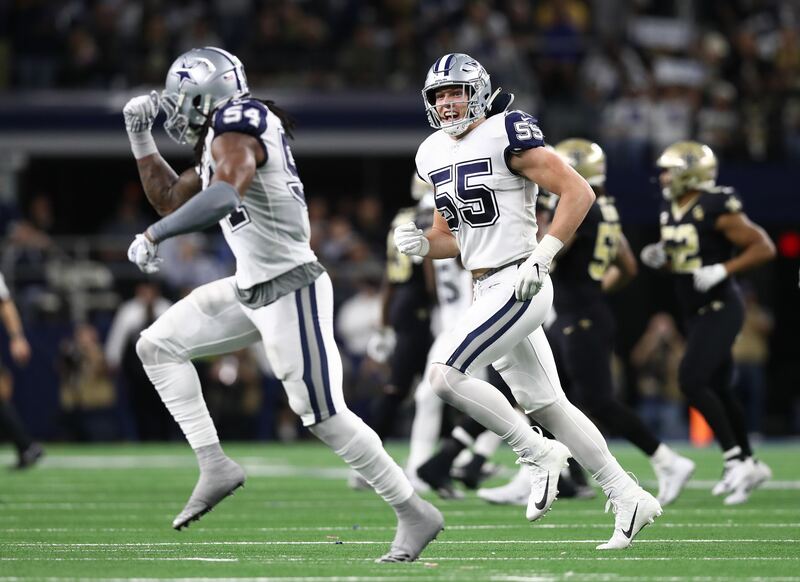 If the Cowboys want to keep him, and that really is going to be the question, there are two contracts they should look at to structure his long-term extension: Cowboys Defensive End DeMarcus Lawrence and Los Angeles Rams Running Back Todd Gurley. DeMarcus Lawrence got his pay-day last week in a five-year $105 million contract. His contract will pay out his guarantees over the first three years of the deal, which will get Lawrence through his age 30 season. 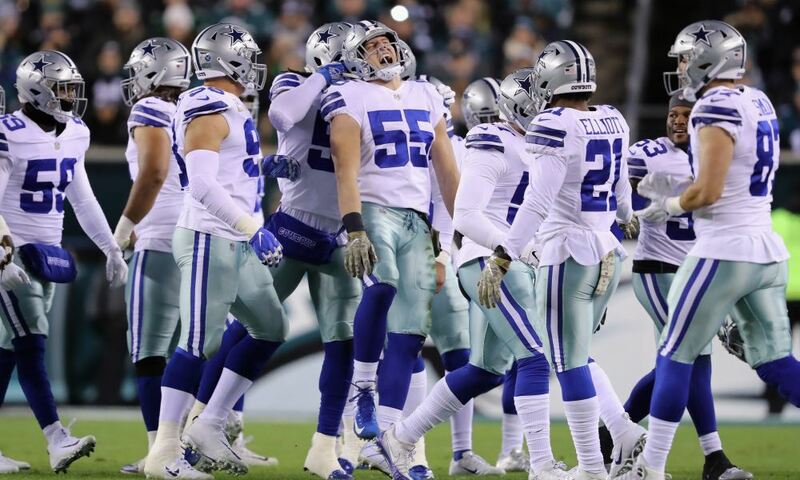 If for some reason there's a decline in his play or his back doesn't hold up to the wear and tear of the NFL season, the Cowboys will have outs after the 2020 season. The only dead money they would add would be in his prorated signing bonus which is $5 million a year over the final three seasons. The way the Los Angeles Rams paid Todd Gurley was really smart. After drafting him as a rookie in the first round, the Rams could have picked up his fifth year option for the 2019 season and then looked to negotiate a contract this offseason to extend him. The problem is they would have pushed guaranteed money closer to his age 30 season, which would leave them with problems had Gurley suffered the dreaded age-27 running back decline. Instead, the Rams opted to sign Gurley to an extension which took up the final year and the option year of his rookie contract and then bought up the prime years of his career from age 26-29 through the 2023 season. The way the Rams structured the contract, they won't have any more guaranteed money to pay out to Gurley after the 2020 season. If they wanted to move on from Gurley in 2021, they could save $8.4 million and only have $4.2 million in dead money in 2021 and 2022 from his prorated signing bonus. $4.2 million by the time we get to the 2021 season, won't be as much as it would be on the 2019 cap. The Rams will only have to worry about Gurley staying productive for two more seasons before they can get out of his deal. The Rams could essentially opt out of his deal after his age 27 season, only having the $4.2 million in dead money over the final two years of the deal to the 2023 season. The Dallas Cowboys could use both of these contracts to take a similar approach to paying Ezekiel Elliott. Right now, Elliott is heading into the fourth year of his rookie deal, which is the same point that Gurley was at when he received his extension from the Rams. If the Cowboys wanted to, they could get Elliott extended now, which would take care of the last year of his rookie deal and the option year from being a first round draft pick. By doing this, they could have him under control through his prime years and not have to pay him any money going into his 30's. Let's use the contract projection from K.D. Drummond of The Cowboys Wire as our example. Drummond estimates that an extension from the Cowboys could come in a six-year deal for $75.5 million with $48.25 million guaranteed which includes the final year of his rookie deal. 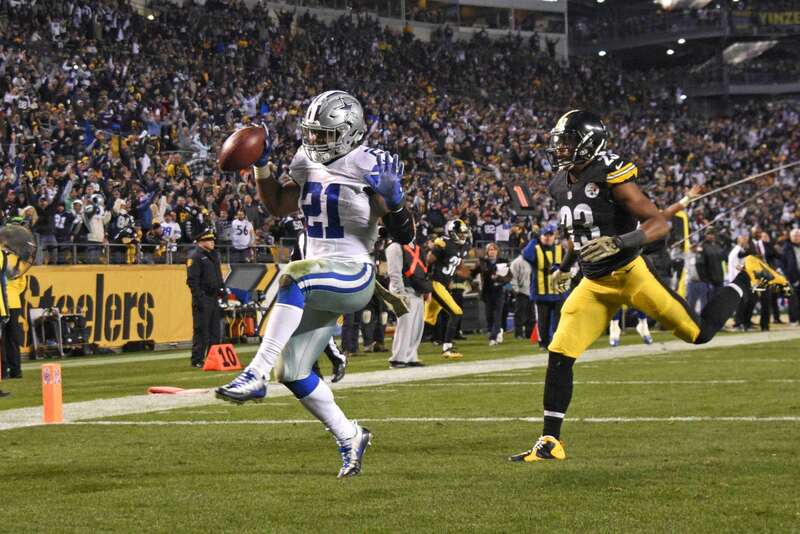 According to his projection, Elliott would get a $22.5 million signing bonus, which would figure at $4.5 million over the first five years of the deal, with no guaranteed money in year six of the contract. K.D. 's projection would have Elliott locked up through 2024 -- Elliott's age 29 season -- and would keep the Cowboys from carrying any risk of a decline from Elliott into his 30's. If the Cowboys front loaded his guarantees similarly to DeMarcus Lawrence, they'd only be hit with the base salary and the prorated signing bonus on the cap. If they moved on from Elliott after the guaranteed money was out, they'd only be hit with the prorated signing bonus as dead money through the 2023 season. They'd only be at risk until Elliott was 28 years old. We know the player that Ezekiel Elliott is. He's the two-time NFL rushing champion and he's averaged right around 2,000 total yards when he's played at least 15 games. There's no reason to expect that Elliott won't continue to run at his league leading clip. As the passing game improves, hopefully, the wear and tear of Elliott should decrease as he's relied upon for 25 touches a game less. Ezekiel Elliott's one of the best running backs in the NFL and deserves to be paid like one when the time comes. If the Dallas Cowboys front office plans to pay Elliott, the time to do so is now, so they aren't having to pay him into his 30's. Elliott's been a very durable player and could potentially be an effective player into his 30's like Frank Gore. With the amount of work he's gotten in his first three seasons in the league, the Cowboys would be wise to reduce their risk as Elliott leaves the prime of his career.